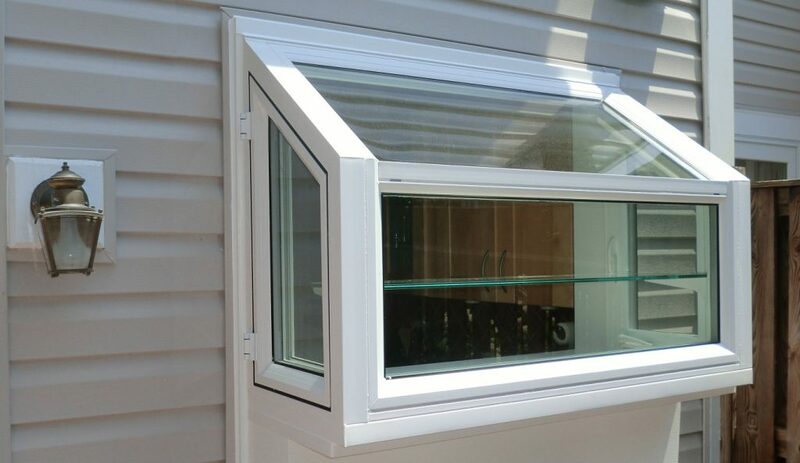 A garden window extends out from your home and usually will have an interior shelf or two for plants and herbs. This ‘window greenhouse’ can provide extra light as well as a great spot to put that mini herb garden. Often placed over a kitchen sink this makes it easy to snip some herb clippings fresh from your garden window for cooking as well as providing you with a bright cheerful view. Side vents provide ventilation when needed. A garden window extends out from your home’s exterior and usually includes a shelf for plants and herbs.